Math times tables for kids! 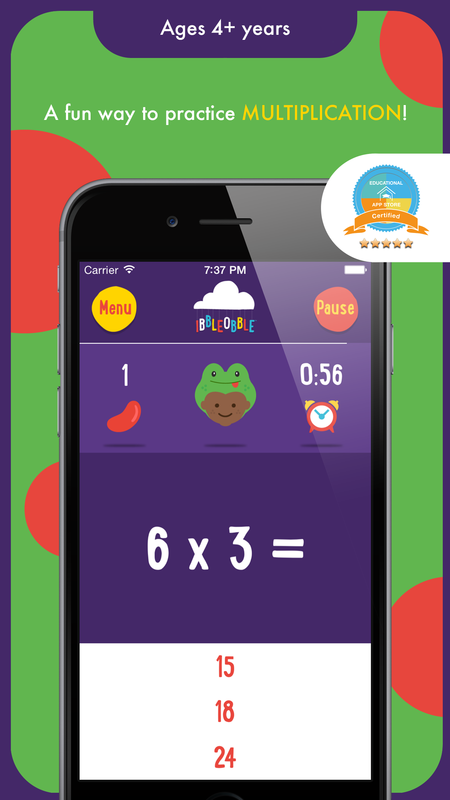 Multiplication with Ibbleobble is an app designed for practising multiplication tables. With numerous difficulty levels, a choice of timer modes, and saveable high score tables, it offers a way to harness children's competitive spirits for their learning. Right from the outset, this app feels child-friendly. From the child-like voice that announces the opening of the app and announces the names of the characters, to the large, bold, and easily readable typefaces used, the app takes great care over its presentation. It provides the player with a comfortable and welcoming experience. The app is all about multiplication practice and provides this through a multiple-choice quiz. Each character in the game is associated with a different level and players earn rewards as they achieve correct answers. Questions appear and the player must choose one of three possible answers. Each round lasts one minute and the score achieved is saved to the score table. The challenge can be adjusted through the use of a difficulty setting that switches between easy, medium, and hard. Rather than change the questions, this determines whether the questions are timed or not. On easy, there is no time limit, whereas the other two settings pitch the player against the clock for each question also within an overall time. This is a far more useful facility than merely adjusting the difficulty of the questions as it allows the experience to be better tailored to the individual. Without the pressure of time on easy, there is still a challenge of achieving the best score over the duration of the round. There is no penalty for incorrect responses but, obviously, the best scores will be achieved by going straight to the correct answer. Medium and hard have a timer bar - one that decreases leisurely on medium but at a furious pace on hard. These time allowances nicely match the different stages in learning times tables from just beginning to fluent. There is no penalty on any of the levels for giving an incorrect answer. This feels a little less inspired than the difficulty settings as children often gain deep satisfaction from learning how to 'game' educational apps. Tapping all of the choices in quick succession could be quicker than working out the correct answer and yet, in the worst case scenario of clicking the correct answer last, the time lost to doing this could well be quicker than doing the mental calculation. The game could really do with a delay after each button press or a time penalty to undermine this strategy. The app saves high scores to its built-in score tables which is great to allow children to try to outdo each other with the best scores. The app presumes a single user so, thankfully, these tables are easy to reset so that as another child takes over, they can start with a clean slate. Teachers may want to record the best scores to act as a target for other children to beat. You have probably seen similar apps to Multiplication with Ibbleobble - the multiple-choice practise app is a staple educational resource. Its smooth and polished execution, however, makes it one of the better ones and its features make it especially useful. As a fun bonus, it even includes a sticker pack for use in the iMessage app. The app is also a universal download that can work with the Apple TV. 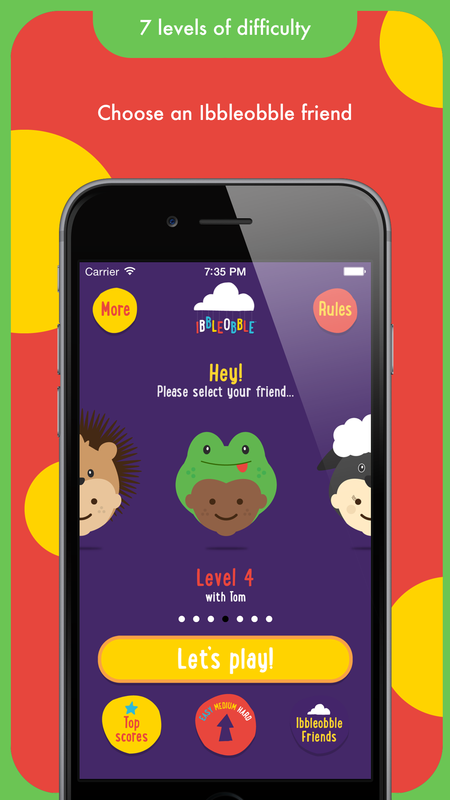 Multiplication with Ibbleobble is part of a suite of apps made in the same style so children can transfer their enthusiasm for this app to the others and then they can engage with other areas of arithmetic. Every educational device needs an app for practising multiplication and Multiplication with Ibbleobble should be one that you consider. Multiplication with Ibbleobble is fun educational times tables math game suitable for children aged 5 - 8, perfect for those studying Key Stage 1 and 2. This simple children’s math game will support the development of mental arithmetic, teach children how to multiply, gain a feel for numbers and the relationships between them. 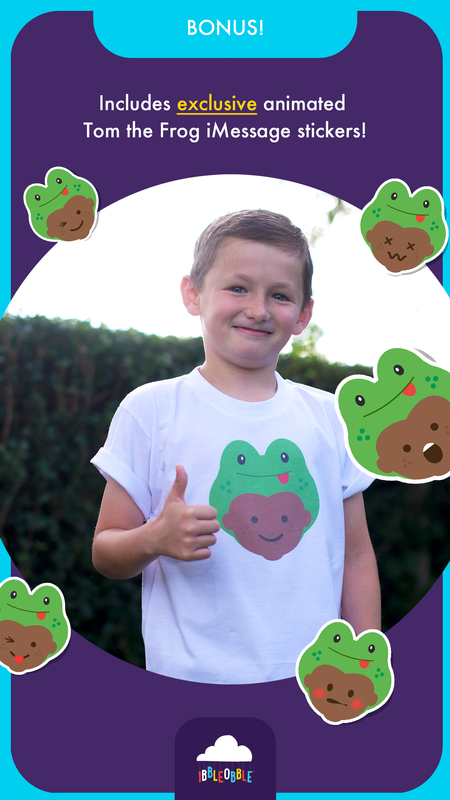 We understand that everyone’s different and while multiplication times tables can be daunting for kids, Ibbleobble lets your child learn at their own pace, or take a challenge against the clock! We use a familiar multiple choice method designed with little hands in mind. We’ve also made this app available on all your devices with one single purchase. This way children can play and learn on the go with their iPhone, iPod or iPad whilst also on the big screen of the Apple TV! Multiplication with Ibbleobble is the perfect math drills app! "In addition to all of the other wonderful features included, the developers have also done an excellent job making this app easy to use and safe too. 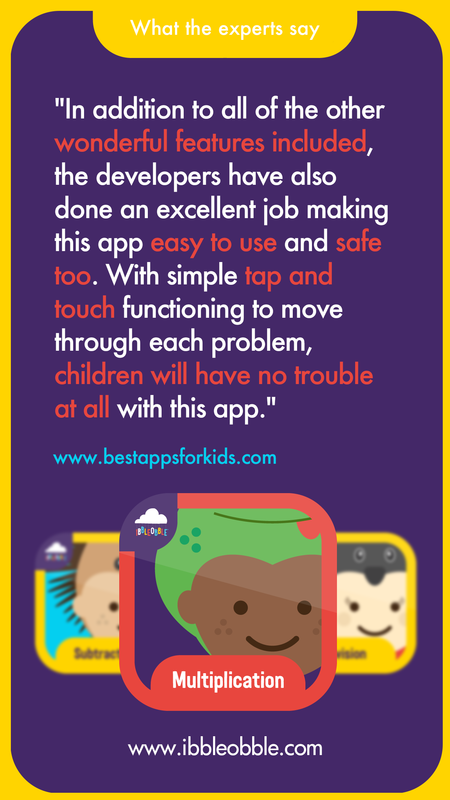 With simple tap and touch functioning to move through each problem, children will have no trouble at all with this app. As a parent it is also nice to see that there are no advertisements or other distracting links to worry about." 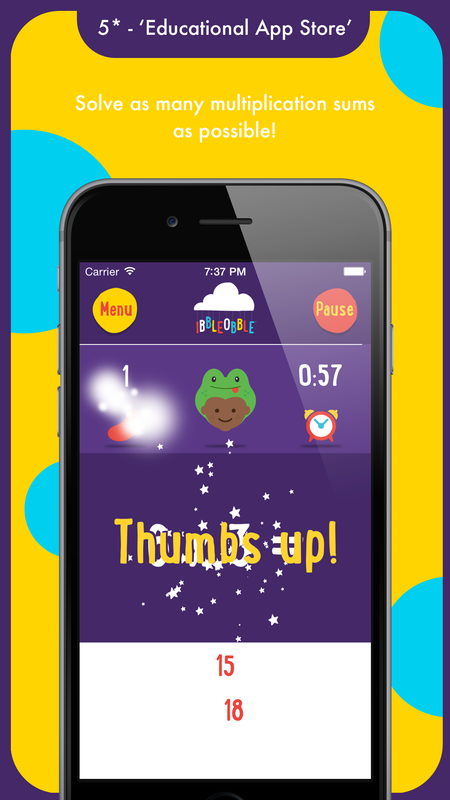 If you enjoy Multiplication with Ibbleobble, we would really appreciate it if you could take the time to rate and review our app.